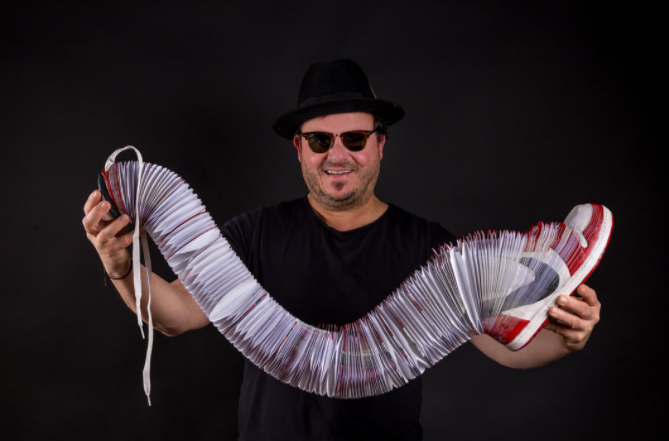 Felix Semper is the master of “unfoldable” art. 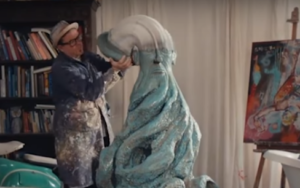 There’s an amazing story behind what the artist refers to as stretchable paper sculptures. Felix’s sculptures include a ‘dimensional morphing component’ that incorporates the artist’s unique ability to integrate mixed mediums. Semper’s subjects are selected from everyday life, and they are eclectic: a Cheese-It box, owls, tennis shoes, The Notorious B.I.G., hamburgers, Coca-Cola cans, cakes, and more. By the way, Biggie’s sculpture required about 7,000 sheets of paper and took three months to create. Who said you can’t make money in paper? 1. 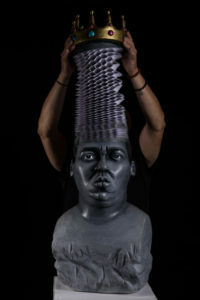 Felix’s sculptures are commanding $2,000 – 30,000 USD each on his site, and he has a robust side business doing sculptures and presenting them for corporate events. 2. The art world and Semper are both quietly rejoicing the day that the bank removed him from the construction business.